Makeup with Bella: The lipsticks from Primark. As a curiosity I would like to tell you that the Primark has more than 270 stores in nine European countries: the UK (161), Ireland (38), Austria, Belgium, France, Spain, the Netherlands, Germany and Portugal . I like going to Primark because you can sometimes buy something nice for little money. Every time I go there I'll take a look also at cosmetics :). But I've never decided to buy any of them because I always went out with the assumption that they are of poor quality and they have a composition of unknown origin. But some time ago I decided to give them a go and bought three types of lipsticks called P.S. LOVE... : Lipstick, Lip Gloss Crayon and Lip Stain Pen. 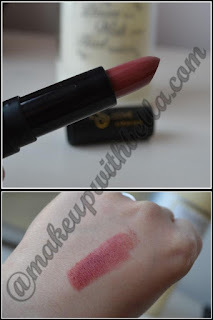 I decided that I share with you my opinion about these lipsticks. P.S.LOVE... Lipstick and the swatch. 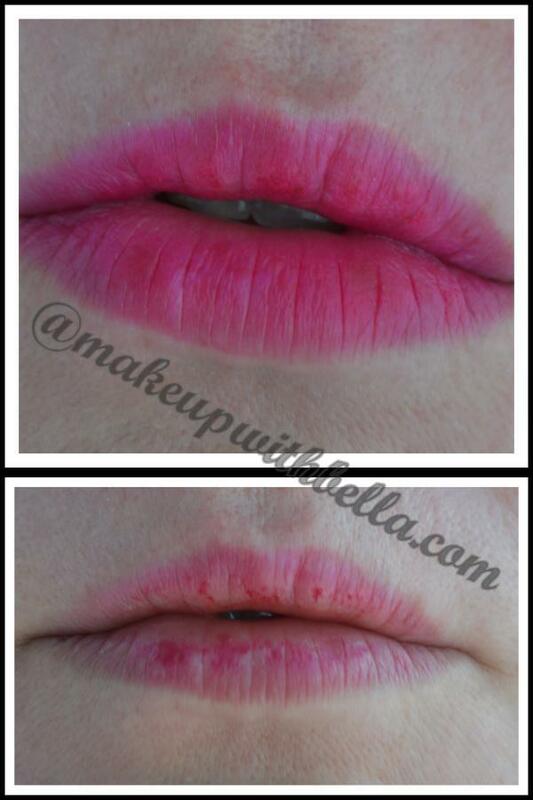 P.S.LOVE... Lipstick on the lips: above after application ,under, after few hours. 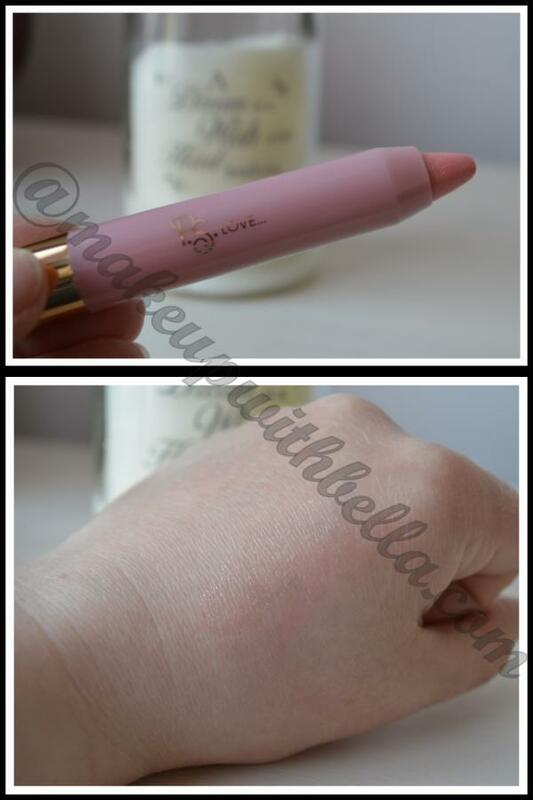 P.S.LOVE... Lipstick (3060-00) cost £1.00 only, but I have bought mine for £0.80. The color of the lipstick I would describe as a rose pink. Even though on the picture the color looks like delicate bright red, but believe me, really, it's rose pink. The swatch on the hand looks even nice, but on the lips completely I do not like it. But it's mine personal opinion. How is the lasting?, well it's quite good. I have had it for about three hours (drunk the coffee only) and still was on my lips. So what can I say, for this really ridiculously low price the lasting is just great. On the website of the store I was looking for this lipstick, but I'm not sure if this is the right color, because for me it looks like pink, and on the website it's described as a dark red. You can check it yourself if you want to by clicking here. P.S.LOVE... Lip Gloss Crayon and the swatch. P.S.LOVE... Lip Gloss Crayon (2757-00) - price £1.00. It has a very delicate bright pink color with the small glitter. The color is almost invisible to the eye except that sparkle. 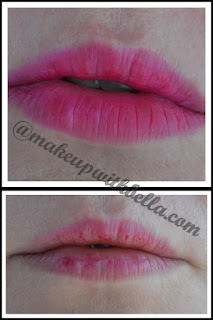 We can use it if we only want to add some luster to the lips, or as a finish on another lipstick. When it comes to durability it's like with the most of the lip glosses, which means that they disappear quite fast. 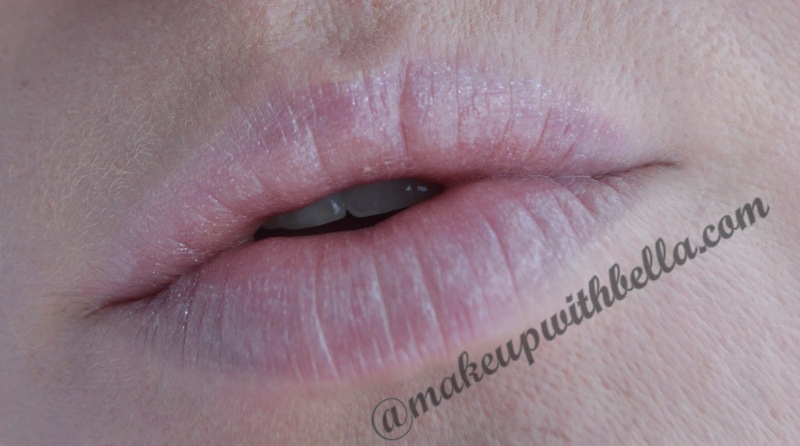 I'm sorry but I couldn't find this lip gloss crayon on the Primark website. P.S.LOVE... 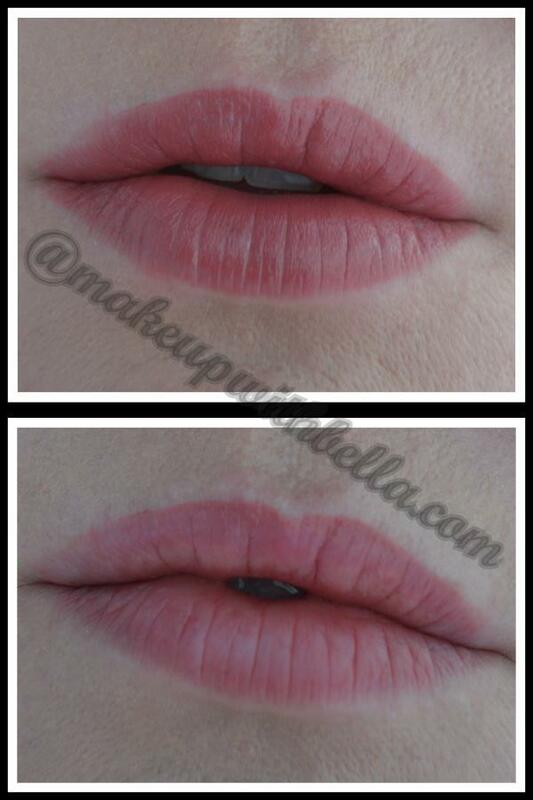 Lip Stain Pen: abover after application; under after 5 hours. P.S.LOVE... Lip Stain Pen and the swatch. P.S.LOVE... 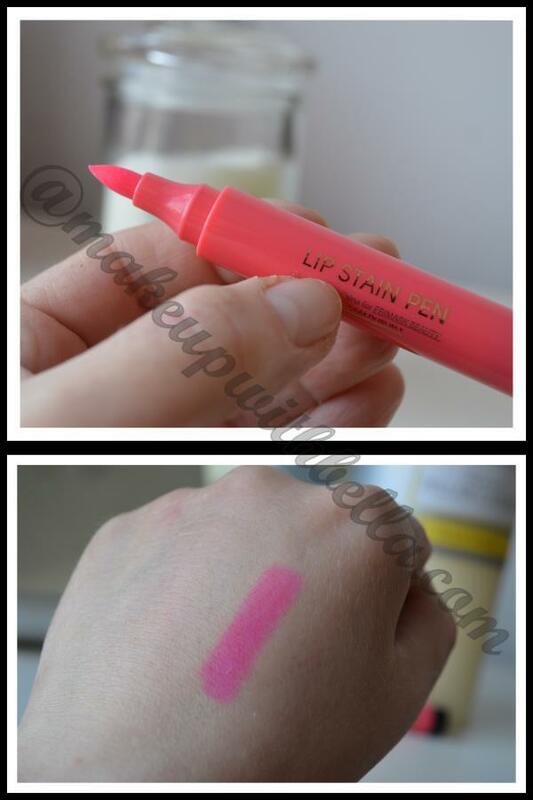 Lip Stain Pen (2953-01) - cost £1.00 only. The color is bright pink almost like a fuchsia. It looks like a normal felt-tip pen, which the children paint pictures. You need to apply it for a very long time to achieve a good covering. In my opinion this lip stain doesn't looks lovely on the lips but it's very long- lasting. Besides dry out the lips. You can take a look on the picture above where the second picture has been taken after 5 hours after application. It can be used with some other lipstick on. I was very very very pleasantly surprised by these lipsticks. I never would have thought that for such a low price they will be so lasting. Still when it comes to colors they don't impress me so I doubt I buy more of them.